Manage the municipality, ensuring developmentally oriented planning. Manage the Office of the Municipal Manager. Oversee the effective and efficient management of the Department Corporate Services in support of the efficient execution of its functions and obligations in accordance with the IDP. Oversee the effective and efficient management of the Department Financial Services to ensure financial viability, compliance and reporting of the municipality and to coordinate, facilitate and provice capacity building in the region as a whole as contained in the IDP. Oversee the effective and efficient management of the Department Community Services in accordance with legislation, policies and the IDP. Oversee the effective and efficient management of the Department Economic Development and Planning. Internal Audit is an independent, objective assurance and consulting activity designed to add value and improve GRDM ’s operations. It helps GRDM to achieve its objectives by bringing a systematic, disciplined approach to evaluate and improve the effectiveness of risk management, control and governance processes. Report significant issues related to processes for controlling the activities of GRDM (including potential improvements to those processes) and provide information concerning such issues for further action by management. A Performance Management System can be defined as a strategic approach to management, which equips councillors, managers, employees and stakeholders at different levels with a set of tools and techniques to regularly plan, continuously monitor, periodically measure and review performance of the organisation in terms of indicators and targets for efficiency, effectiveness and impact. 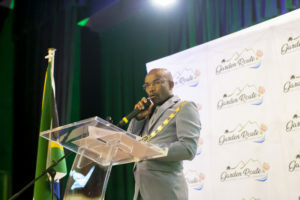 This system will, therefore, in turn, ensure that all the councillors, managers and individuals in the municipality are held accountable for their actions which should bring about improved service delivery and value for money. 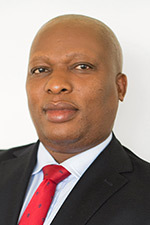 Performance management is aimed at ensuring that municipalities monitor their IDPs and continuously improve their operations and regarding Section 19 of the Local Government Municipal Structures Act (MSA), that they annually review their overall performance in achieving their constitutional objectives. The performance management system can assist to make a significant contribution to organisational and individual performance. The system is designed to improve strategic focus and organisational effectiveness through continually seeking to improve the performance of the municipality as a whole and the individuals in it. The performance of a municipality is integrally linked to that of staff. It is therefore important to link organisational performance to individual performance and to manage both at the same time, but separately. Although legislation requires that the municipal manager, and managers directly accountable to the municipal manager, sign formal performance contracts, it is also a requirement that all employees have performance plans. These must be aligned with the individual performance plan of the head of the directorate and job descriptions. In this way, all employees are working towards a common goal. It is, however, the responsibility of the employer, to create an environment, which the employees can deliver the objectives and the targets set for them in their performance plans and job descriptions. We support the municipality’s departments in updating risk registers as and when needed as risks are identified and monitor and review all action plans documented in the risk registers to ensure that any risks which may impact on the departments’ ability to achieve their IDP (Integrated Development Plan) objectives are managed at an acceptable level. Integration from the IDP up to the SDBIP is our aim in identifying project risks before they even occur. Continuous monitoring on a monthly basis are doen by the departments and KPI’s developed to ensure action plans are adequately addressed. Annual review of the Risk Management policy, framework and strategies and methodologies are maintained. Internal audit also provides an audit on a yearly basis to ensure compliance. The Internal audit “Risk Based Audit Plan” is developed from the medium to high risk areas in the risk register. The function is regularly reviewed by the Risk Management Committee and APAC. We optimise assurance that the municipality comply with all relevant legislation within its departments. An electronic system is being used to monitor the compliance. This function is regularly reviewed by the Risk Management Committee and APAC. Internal audit also provides an audit on a yearly basis to ensure compliance. Liaising with attorneys, management and staff.